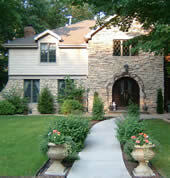 Welcome to The Roost Bed and Breakfast, your home away from home. Located in a quiet residential neighborhood in Appleton, Wisconsin, The Roost features five comfortable, contemporary suites and rooms for the leisure or business traveler, each equipped with gas fireplaces, air-jet whirlpool tubs, private baths, and other amenities. Enjoy a delicious home-cooked breakfast in our dining room. Relax and visit with friends old and new in the Gathering Room. 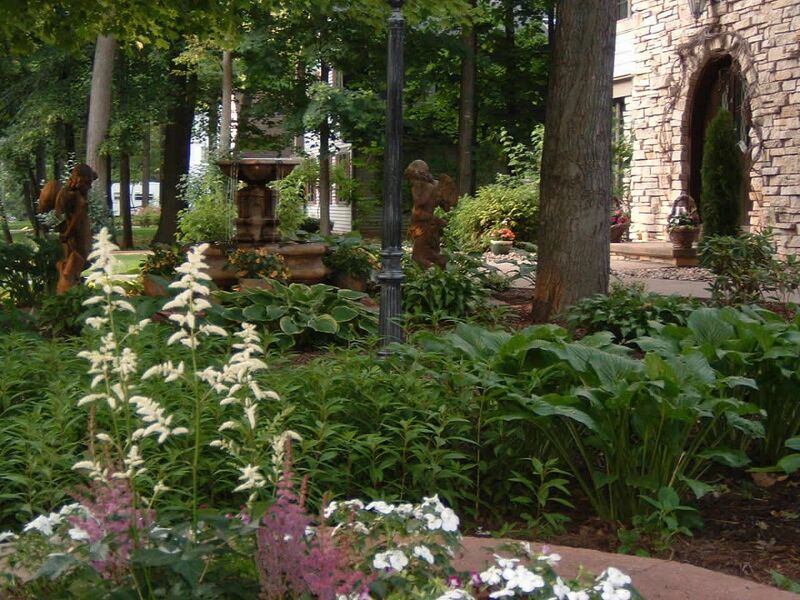 Outside, our gardens, fountains, and gazebo create a background for private reflection, intimate gatherings, or even small wedding or anniversary celebrations. Fox River Mall: With more than 180 specialty stores and dozens of dining options, Appleton’s Fox River Mall is a year-round shopping destination. Anchor stores include Macy's, Younkers, Scheels, Sears, and JC Penney. Lambeau Field: Home of the Green Bay Packers (30 minutes away; 45 minutes on game day). Drive up the night before, or book a stay for after the game. The Packers Hall of Fame, Lambeau Field Stadium Tours, and The Lambeau Field Atrium are also open year-round. Lake Winnebago: The largest inland lake in the state, Lake Winnebago offers year-round recreational activities, including swimming, boating, fishing, hiking, snowmobiling, and more (15 minutes away). Lawrence University: Founded in 1847, Appleton’s Lawrence University is a nationally recognized undergraduate institution consisting of a college of liberal arts and sciences and a conservatory of music. 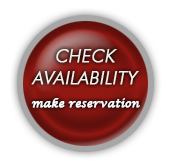 Please inquire about our special room rates for visiting alumni, parents, grandparents, prospective students and faculty when booking your stay. University of Wisconsin-Fox Valley: a two-year collegiate campus of the University of Wisconsin located in Menasha (eight minutes away). Door County and Michigan’s Upper Peninsula: Plan an overnight stay at The Roost as part of your Door County or UP vacation! Whatever brings you to — or through — the Appleton and Fox Cities area, The Roost is the perfect place to relax, recharge, recreate, and experience Wisconsin at its best. 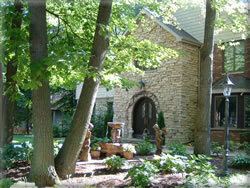 Ask about The Roost Bed & Breakfast gift certificates. A thoughtful way to honor the special people in your lives, they’re perfect for honeymoons, special birthdays and anniversaries, theater weekends, caregiver retreats, girlfriend getaways, mother/daughter weekends, shopping trips, class reunions, Packer weekends, and more.